After news emerged late last week, the Good, the Bad & the Queen have confirmed their new album Merrie Land will arrive this fall. What's more, the supergroup — comprising Damon Albarn of Blur/Gorillaz, Paul Simonon of the Clash, Simon Tong of the Verve and Fela Kuti drummer Tony Allen — have now shared its lead-off single. Right now, you can dive into the album's title track "Merrie Land" down below, where you can check it out via a new video. Up above, you can also see the album's cover art, as well as its tracklist down below. 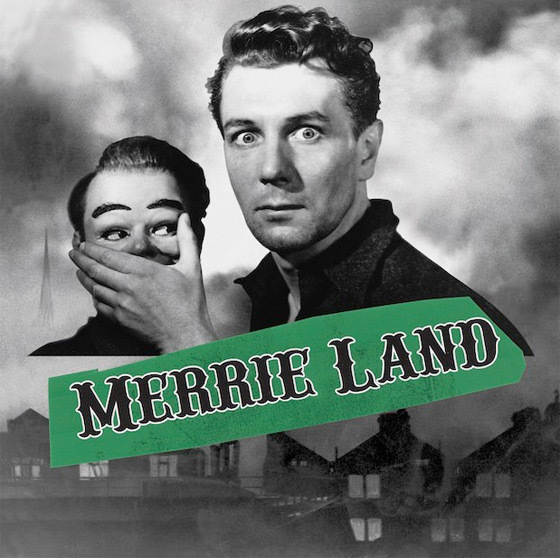 As previously reported, Merrie Land was produced by famed David Bowie collaborator Tony Visconti. It will arrive on November 16, marking the follow-up to the group's 2007 self-titled debut. "It's an ode to the North of England, bizarrely," Albarn told NME of the album last year. "It's sort of set in Blackpool, between Starr Gate and [historic pub] Uncle Tom's Cabin, if you want to be geographically precise." In addition to the album announcement, the band have revealed a few U.K. dates. You can see those below as well.